Terrence Ross had just 4 points in the Raptors 111-93 win over the Utah Jazz on Saturday night, but one of those baskets was an unbelievable alley oop slam assisted by Kyle Lowry. T-Ross beat Utah Jazz rookie Dante Exum to the basket to throw down the athletic slam. 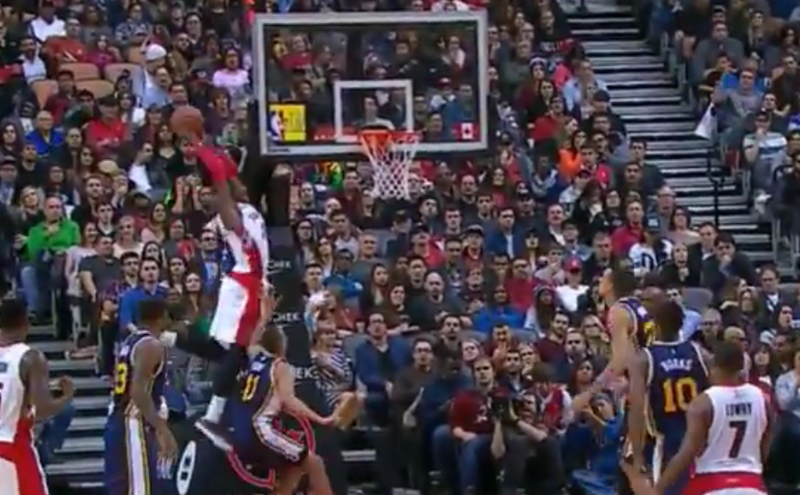 Where does this rank in Terrence Ross' all-time dunks?